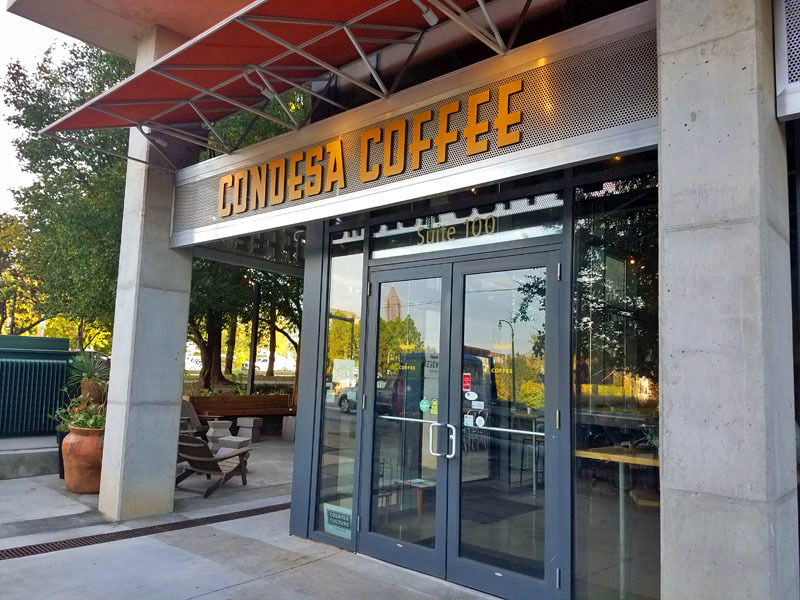 Whenever I am in town a must visit Atlanta coffee shop is Condesa Coffee in the Old Fourth Ward neighborhood. 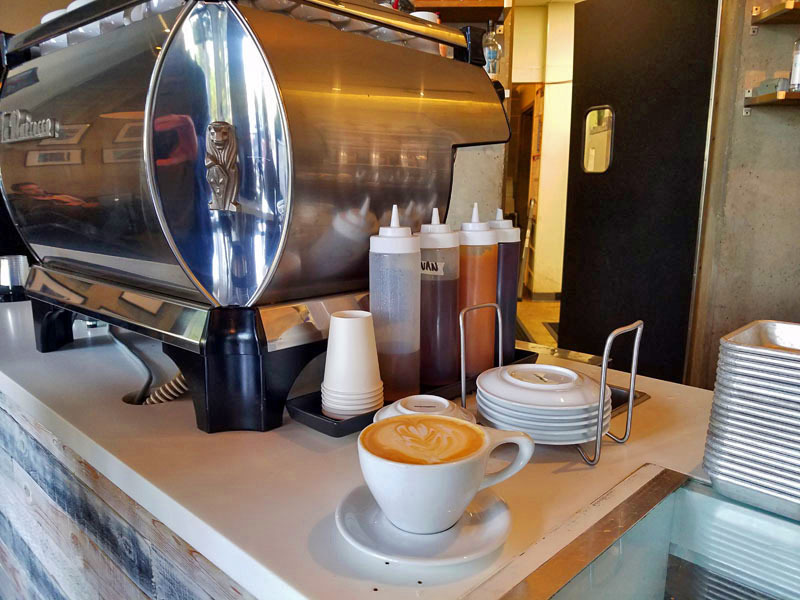 I highlighted Condesa Coffee in a post years ago having spent time there with my dad. I went there with my brother recently and captured a few more photos I’d like to share. 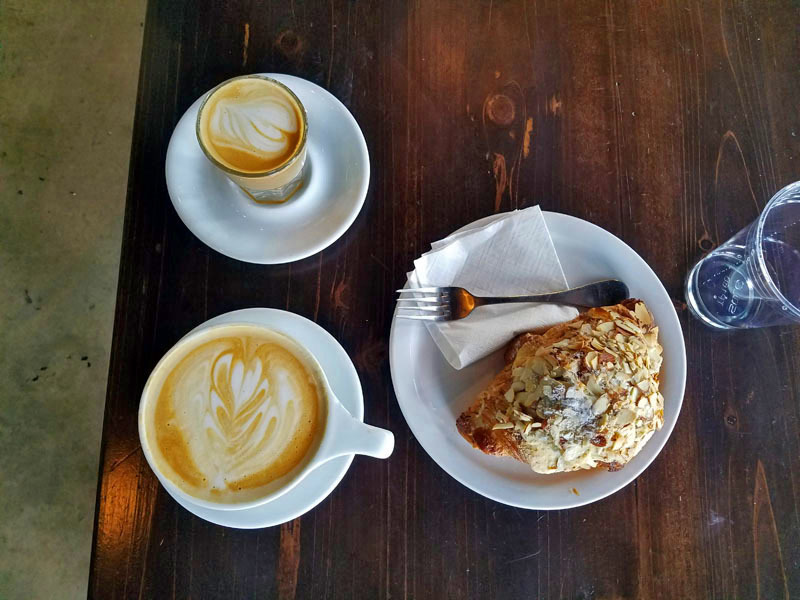 A Latte and Cortado made from Counter Culture coffee beans, along with an almond croissant were enjoyed by my brother and I on this visit. Delicious as always. He was impressed as we hung out amongst the moden and cozy atmosphere. A little time on the large outside patio was had as well. Tip: Parking can be tricky. I usually park along John Wesley Dobbs Ave NE which runs alongside. 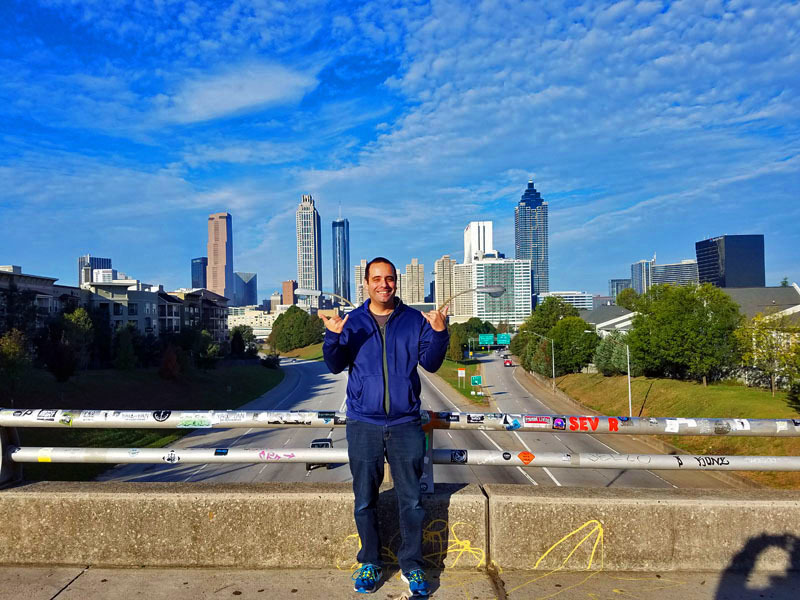 You can see part of Atlanta’s skyline just outside of Condesa Coffee, which is what I have captured in the past. I took that one step further this time. 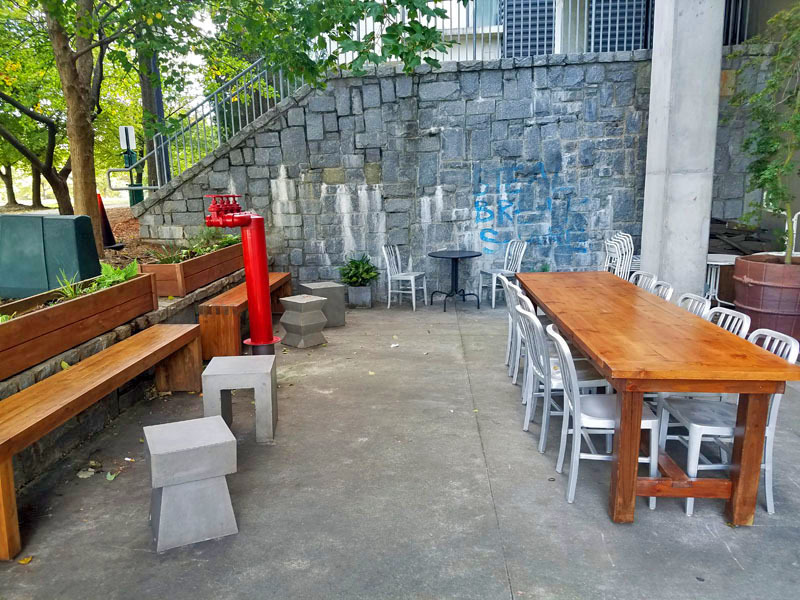 Before or after you visit this Atlanta indie coffee shop, make sure to walk one block over to one of Atlanta’s most Instagramable places, Jackson Street Bridge. The heart of the Downtown skyline and a scene familiar to Walking Dead fans will be front-and-center. See you again soon Condesa Coffee. Still need to check out their other location in Downtown. Who knows what fellow coffee lover I’ll take with me next time! 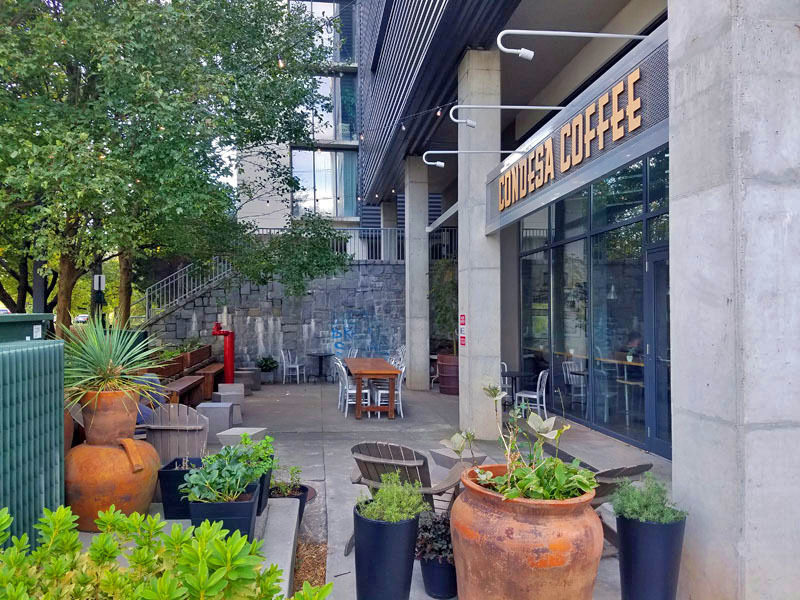 Checkout my previous post on Condesa Coffee: An Atlanta Coffee, Skyline View and More at Condesa. 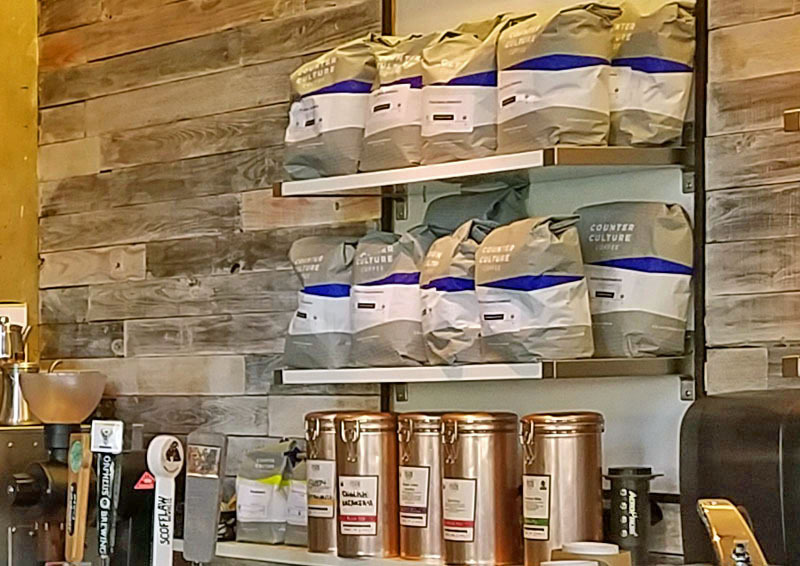 You can find Condesa Coffee on Facebook, Twitter and Instagram. 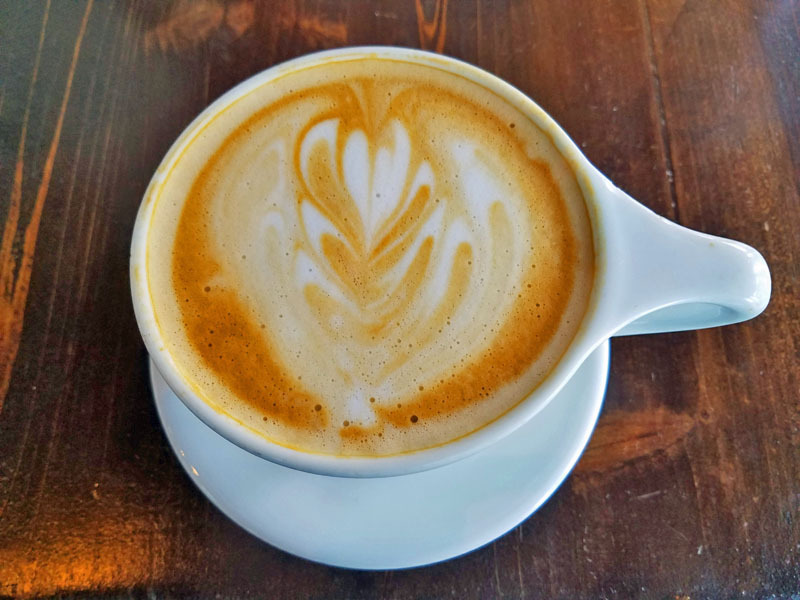 What other Atlanta coffee shops would you recommend checking out? This entry was posted in Atlanta, coffee, coffee shop, Georgia and tagged Atlanta, Atlanta coffee shop, coffee, coffee lover, coffee shop, Condesa Coffee, Georgia, indie coffee shop, Old Fourth Ward. Bookmark the permalink. Looks awesome – Latte is my favorite as well. Love it. Thanks for sharing that destination with us. No problem Jai! Thanks for checking it out! Love exploring and then sharing all the great coffee shops I come into contact with, many of in Atlanta. Cheers! Cheers to you. Thanks for great tips. 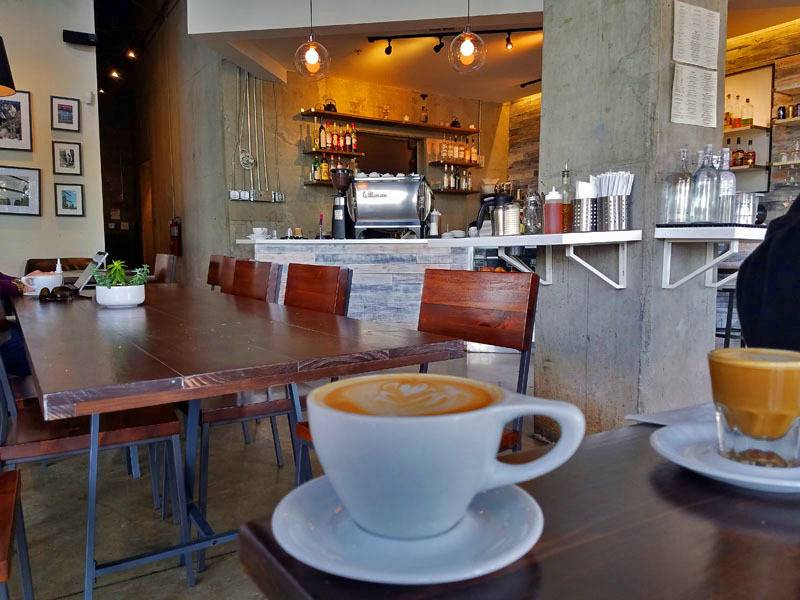 Whenever I visit Atlanta I stay in the ‘burbs, but Condesa looks like a great place for coffee next time I visit the GSU campus. Cool beans Steven! The location I go to in Old Fourth Ward is less than two miles away. 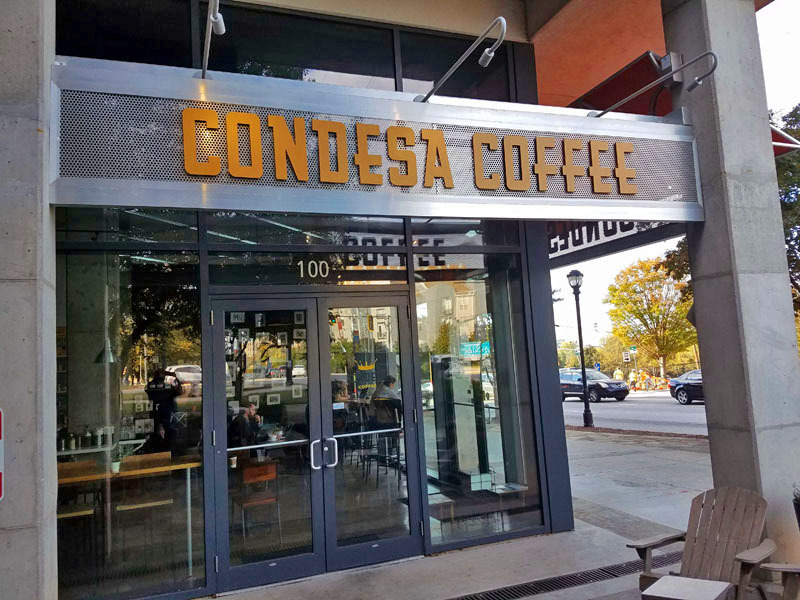 Condesa Coffee’s other location in Downtown is within blocks of the GSU campus! 🙂 Still need to explore that one myself, but imagine the coffee is just as good! My kinda place! 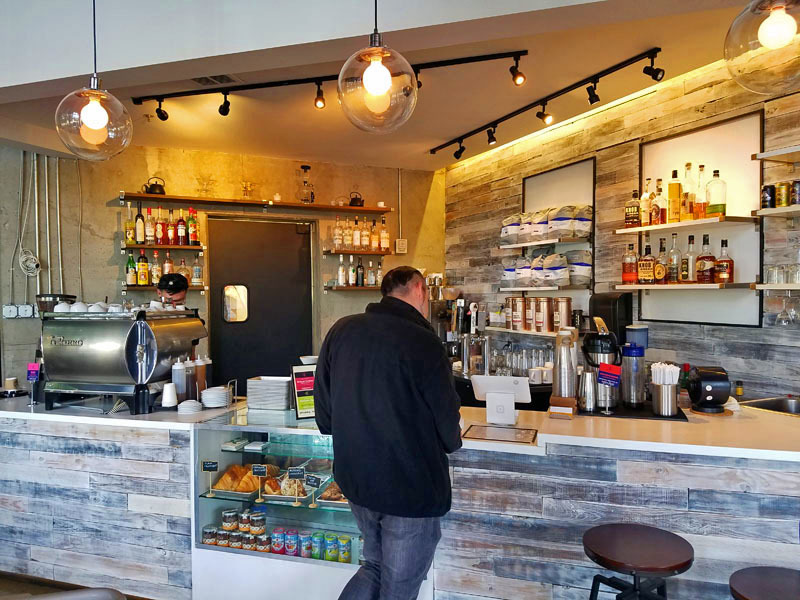 I trust your coffee judgement, so I bet this coffee shop is great, it sure looks great. The counter reminds me a bit of Gaslight in Chicago.